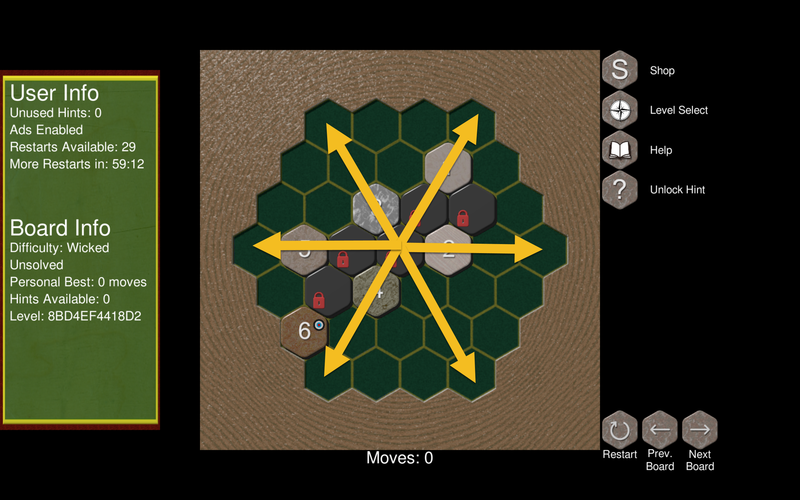 The HexSolve Puzzle Game is available for mobile devices on the App Store and on Google Play. 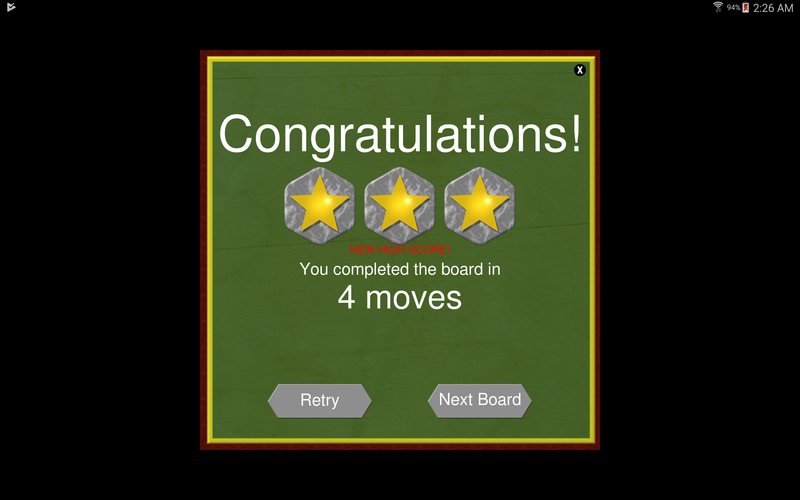 HexSolve challenges you to slide tiles in a hexagonal board to make chains of consecutive numbers. • At the end of a swipe, chains of consecutive numbers starting at 1 will be removed except the last tile. The game normally progresses through all levels in order of difficulty. If you wish, you can use the Level Select button to change difficulties. Only the first level in each series is open. You must solve each level to go on to the next. The exception is the Wicked series. Since this one is so hard, we've made all levels open for you to try. When you finish a level, your performance is ranked from 1 to 3 stars. At the end of the level, you have the option to replay the level to get a better score or to move on to the next level. The Level Select screen will show you your score for each level. • Purchase. You can purchase either Unlimited Restarts or Everything to allow you to restart as many times as you wish. With either of these purchases, you will never again run out of restarts. The User Info panel shows how long you need to wait to earn an additional 10 restarts. Once purchased, hints can be used on any level to show you moves toward a solution. The level remembers how many hints you've applied to that level and allows you to replay them in the future. You can also purchase unlimited restarts and no ads. You can purchase Everything which gives unlimited hints, unlimited restarts and no ads.